47 year-old sprinter Jason Carty is a track athlete, competing in the 60m, 100m, and 200m sprints. He began competing professionally 14 years ago, after being inspired by coaching his son. After breaking the M45 British record in 2016, Jason was diagnosed with lung cancer and he was told that he would never compete again. 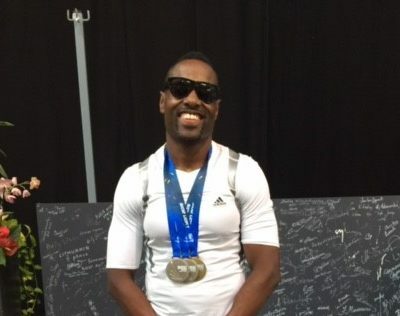 Through sheer determination and intense rehabilitation, Jason returned to training at David Weir Leisure Centre and managed to win a silver medal in the 60m World Indoor Masters in 2017. Jason is determined to break his own indoor record in 2018.